Abbotsford – Thursday night, Abbotsford Police Crime Reduction Unit officers executed four search warrants in relation to three recent break and enters in which over $200,000 in property was stolen. With the assistance of the Abbotsford Police Patrol officers, Emergency Response Team, Drug Enforcement Unit, Lower Mainland Integrated Police Dog Service and Urban Air 1 Helicopter, search warrants were executed on four suites in apartment complex in the 33300 block of George Ferguson Way. Many occupants were escorted from the suite. A non-compliant suspect refused to exit one suite; with the utilization of a distraction device and the Urban Air 1 helicopter’s flood light, the male surrendered and was taken into custody. A 26-year-old male remains in custody facing property related charges. The Crime Reduction Unit officers continue their searches and investigation today as stolen property is being recovered. Please report crime and share information by contacting the Abbotsford Police Department at 604-859-5225. If you wish to remain anonymous, call Crime Stoppers at 1-800-222-8477, or report online at solvecrime.ca. 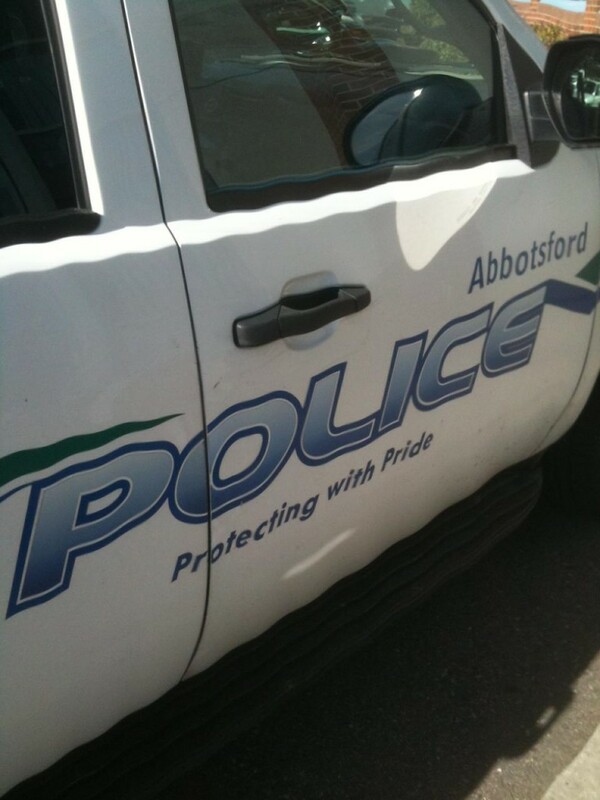 Be the first to comment on "Abbotsford Police – Property Offender In Custody (VIDEO)"